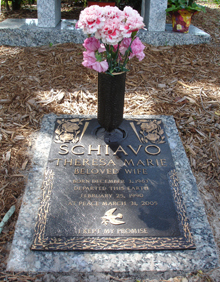 Terri’s grave stone in Florida. A stunning inscription was placed on Terri’s grave by her estranged husband. Click here for Fr. Frank's reflection on the gravestone inscription.